Here’s one ‘Greens’ prepared earlier: Adelaide, SA 28 September 2016. Americans have got a long way to go to catch up with South Australians. While there is a well-organised band of eco-fascists pushing America towards a wind powered future, the penetration of wind power in the US is minuscule by comparison with Australia’s so-called “wind powered capital”. 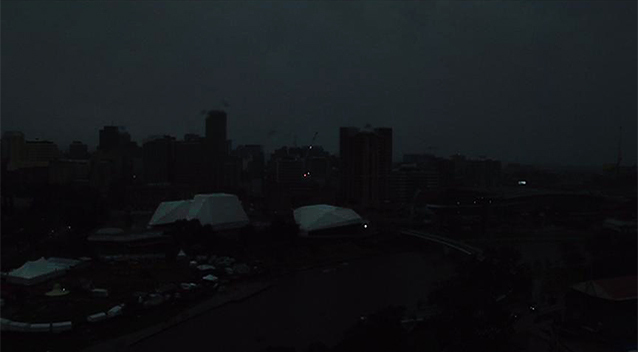 South Australians, blessed with the highest power prices in the Nation (by a factor of two), if not the world on a purchasing power parity basis, routine load shedding (ie regional blackouts) and State-wide blackouts are acutely aware of the price paid for blindly following ideology, rather than economics and engineering. Its attempt to run on sunshine and breezes has turned into a fiasco and it, therefore, provides the perfect example of what not to do. How and why South Australia (and countries like Spain, Germany, Denmark and the UK) ended up squandering $billions a wind power is the subject of this article by Paul Dreissen, a senior policy analyst for the Committee For A Constructive Tomorrow (www.CFACT.org), and author of Eco-Imperialism: Green power – Black death and other books on the environment. Shady cash from Vladimir Putin’s Russian energy oligarchs and other rich donors is being laundered through Bermuda-based lawyers and middlemen to “green” pressure groups, lobbyists and spinmeisters – to promote “green energy” schemes that bring billions of dollars from government agencies (and thus from us taxpayers and consumers) to a cabal of billionaires and crony companies. At the epicenter are hedge fund millionaire Nathaniel Simons, his wife Laura and their secretive Sea Change Foundation. The arrangements are too convoluted to explain in one article. Even the US Senate’s “Billionaires’ Club” report, Environmental Policy Alliance’s “From Russia with Love” study, and articles by investigative journalists like Ron Arnold and Lachlan Markay (here, here and here) barely scratch the surface. Here we are talking about radically and fundamentally dismantling the energy system that powers the American free enterprise, transportation, communication and healthcare systems … replacing it with expensive, subsidized, unreliable, land-hungry wind, solar and biofuel energy – and using vindictive government power to bankrupt and impoverish disfavored factions, while enriching favored allies. Imagine the trillions of dollars required for the USA to accept the wind industry’s “vision” of 4,000,000 megawatts of electricity from 500,000 to 1,250,000 mega turbines in our Great Lakes and along our Atlantic, Pacific and Gulf of Mexico coasts. Picture the multi trillions required to achieve 50% renewable energy by 2027 and a “100% carbon-free economy” by 2050. Envision the potential billionaire profits! As the investigators reveal, the billionaires’ green network transfers millions of dollars from individual, corporate and “charitable foundation” donors … through tax-exempt “educational” nonprofits that do not have to disclose donor names … to activist and pressure groups that work to influence elections, legislation, regulations, legal actions and public perceptions on energy and environmental issues. A lot of money originates with Russian and other foreign interests that want to protect their monopoly revenues. Many wealthy donors and foundations that bankroll these operations also have venture capital firms that invest in “green” energy companies which benefit from the laws, policies, regulations and lawsuits – and from government contracts, grants, guaranteed loans, subsidies, feed-in tariffs, and mandates for energy systems, ethanol blends or wind and solar electricity. In turn, US money can end up in the coffers of radical Australian groups that block coal exports to India, thereby keeping its people mired in poverty. Coal billionaire/climate activist Tom Steyer and other club members invest in for-profit prisons where inmates make ultra-low-cost solar panels. Warren Buffett funneled millions through his family foundation to the secretive Tides Foundation to pressure groups campaigning against the Keystone and Sandpiper Pipelines, thereby benefitting his railroad and tank car companies that haul oil. Others support North Dakota pipeline protesters who destroyed equipment, mutilated cattle and harassed local residents. One of the most clandestine, devious arrangements involves firms owned or controlled by Nathaniel Simons and Laura Baxter-Simons. Tax records reveal that their Sea Change Foundation gives tens of millions a year to the Natural Resources Defense Council, Food and Water Watch, US Climate Action Network, League of Conservation Voters, Center for American Progress, White House counselor John Podesta’s Progressive Policy Institute – and Sierra Club, which received millions from Sea Change for its “Beyond Natural Gas” campaign, to battle drilling, fracking, pipelines and hydrocarbon use. The Simons regularly give millions to Sea Change. Other donors include the Gates Foundation, eBay’s Omidyar Network Fund, David Rockefeller’s personal foundation and the Walmart Foundation. Sea Change also gets money from hedge funds incorporated in Bermuda and headed by Simons’ father Jim, a major Democratic donor whose net worth is over $12 billion. That’s why Hillary Clinton told German bankers in 2013 that US energy development is “up against” Russian “oligarchs” who are funding “phony environmental groups.” She supports fracking, she claimed, while publicly saying her regulations won’t leave many places where the practice will be tolerated. Nat Simons also runs venture capital firms Elan Management and its offshoot Prelude Ventures, which invest in “green energy” companies that benefit from policies that his Sea Change operations promote. At least seven companies in Prelude’s portfolio (including prison-labor solar company Suniva) have received bounteous federal funding from the Energy, Defense, Agriculture and Justice Departments, National Science Foundation and other agencies. Many WQ clients have ties to the Russian government. Klein, Ltd. director and Wakefield Quin senior counsel Nicholas Hoskins is also a director in the IPOC Group and VP of a London-based investment firm whose president is a member of Putin’s inner circle and used to chair the board of Russia-owned oil company Rosneft. He also serves as director of a holding company with extensive shares in an oil company owned by Russian billionaire Alexander Lebedev. On the personal front, Simons commutes to work across San Francisco Bay on the “Elan,” a 54-ft, 1,550-HP, gas-guzzling yacht – and manages his household staff and 6,700-sq-ft home via Elan Household LLC. Ms. Baxter-Simons fired their 9-months-pregnant housekeeper after she requested maternity leave. But their planet-focused ethical star shines bright in environmentalist skies. On this Halloween eve, it is truly frightening to grasp the extent to which America’s politicians, policies, laws, regulations, energy, economy, jobs and future are controlled by a cabal of stealthy billionaires – who receive billions from state and federal government agencies, and use those riches to become even wealthier, more powerful, and more in control of our lives, livelihoods, living standards and liberties. 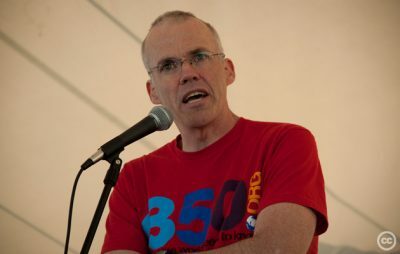 Bill McKibben: phony environmentalist, assists crony capitalists. Anyone who suffered through high school math will be able to understand where it all went wrong. There are so many aspects of wind which exemplify dirty business, but at the heart of it, it’s filthy. It’s to be hoped that with the wind of change having blown into the States, we can all hope for a sea change, and not of the type mentioned in this piece.